We Have 1615 Models. Need help finding your model number? This lower dishrack wheel is sold individually. The wheel allows the dishrack to run smoothly on its track. This part has been redesigned by the manufacturer and is now a complete full basket with a handle and covers. This part includes the black handle, latch, and 2 switches. This part is a simple on/off mechanism that prohibits the dishwasher from operating when the door is open. NOTE: White handle is no longer available. This rack track stop is used for your upper dish rack track. It is sold individually. The door balance kit helps support the dishwasher door. This kit includes 2 door balance links and 2 door balance mounts with wheels. The pump ejects the water from the unit. This dishwasher heating element is not designed to heat the water that enters it, but is designed to maintain the heat of the water that enters the dishwasher. It is located on the bottom of the dishwasher and also comes with the 2 washers. This lower dishrack roller is less than two inches in diameter. It is made entirely of plastic. This washing machine hose clamp extends from half an inch to an inch in diameter. 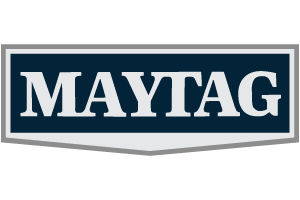 It is made entirely of metal and is intended for use with Maytag brand washing machines. This part chops up/mince the food particles to prevent from clogging the dishwasher pump. This is a screw and it is made for multiple appliances in your home. This model is called a sheet metal screw because it has sharp points, and the threads are closer together. This screw is designed to be driven directly into sheet metal or plastic. It measures to be less than 0.5 inches long, and requires a Phillips head screwdriver.